Coco OCo: hi! i'm not dead. ya so i havent posted in forever. i'd say i've been busy, but it's no more than usual. just out of inspiration i suppose. 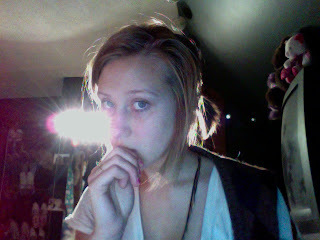 i dont even feel like blogging now, i just have nothing else better to do. so i think i'll watch some SNL and go to sleep at 8, haha. 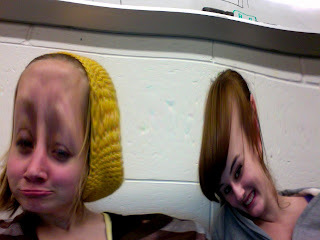 1. typical macbook photo. i made dat hat! 3. outfit from friday. 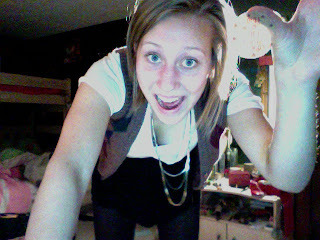 i'm wearing: white forev21 shirt, a vest i was given, black peplum skirt from H&m, tights, and an express necklace. i gave blood that day, and got the sticker i'm holding that says "i did it for the cookie!"